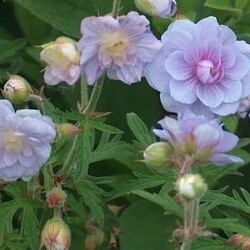 Geranium pratense 'Delf Blue Butterfly' (Geranium) Geraniaceae A notable improvement g . ' Splish - splash' . Large porcelain white flowers splashed a beautiful Delft blue . Foliage ( deciduous ) cut upright growing in clumps. Cut off spent flowers to prolong flowering . Any soil drainage. 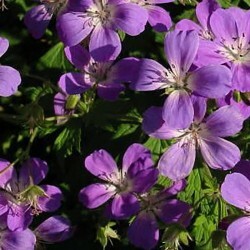 Geranium pratense 'Summer Skies'® (Géranium) Geraniaceae A marvel! Small blue sky slightly pink double flowers shaped pink. undemanding variety of geranium meadow. Port compiled bouquet. Culture very easy throughout drained soil, not too dry. 2010 creation thierry delabroye. 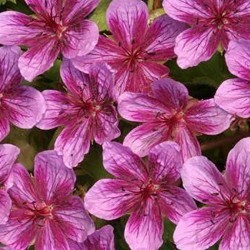 This sturdy geranium adorns dune multitude of fine pink starry flowers carmine. Deciduous. Port high tuft. Massif. All-drained soil, supports the clay. 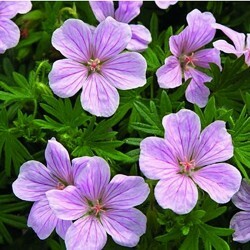 This geranium green gray semi-evergreen, quickly forms a domed cushion. 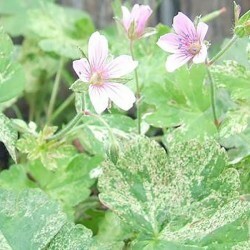 The pale pink flowers, finely veined magenta have a small white heart. Flowering lasts all summer jusquaux frosts. Borders or pots. Any soil drained, even dry. Small geranium foliage semi persistent silvery, quickly forming a dome. 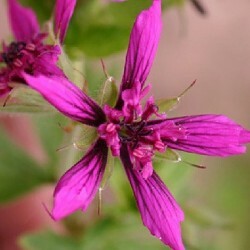 The bright pink flowers with frost jusquaux are renewed. Drought resistant. Borders or pots. 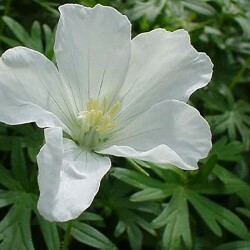 Geranium ground cover long white bloom. Flowers 3.5 cm. Any good garden soil. Easy to grow. Ideal for a massive border. No problem. 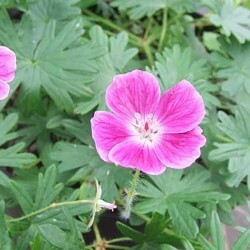 A geranium in bright jock tyrian pink flowers white. Easy to grow, since it is a sanguineum. Semi-evergreen. Supports dry soils. Easy to grow. New hybrid g.sangineum. Flowering specimen record for this delicate pearly pink flowers veined with purple. Floriferous, it will populate gardener and massive. Easy. All drained soil suits it. New cultivar compact port. Original flowering: large pink flowers fuchsia pink carmine etoile heart. Deciduous, basks in spring and purple in autumn. Massif hotpot. Good ground drained garden. 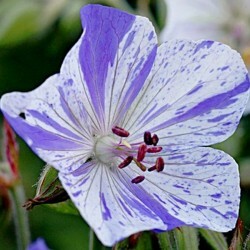 Early in the spectacular flowering geranium: multitudes of small flowers of 2 cm, purple violet blue with white center. Part shade massif where it forms beautiful high clumps. Prefers humus-rich soil. Vigorous geranium forming a big cushion. Pure white flowers. 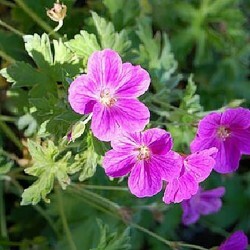 Often blooms again in late summer and autumn. Beautiful association with grasses foliage variegated with white. The sun to set in cool soil. 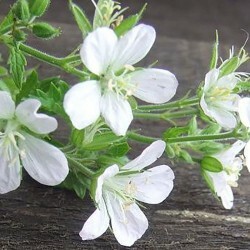 And rare .originaire of japan this geranium, remarkable for its beautiful foliage mottled cream and green tinged with pink, is to cultivate for the light that he brings to the massive score. 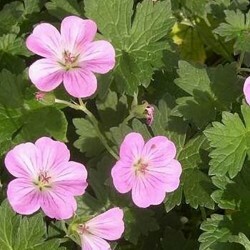 Small, pale purplish pink flowers. Good garden soil.